We reported earlier that Bloomberg was expecting Apple to announce the iTV on September 7th, which might still be possible. However, Apple has now confirmed that a special event will be taking place on September 1st at 10AM PT/ 1PM ET, although it appears to be a music related event judging by the imagery accompanying the announcement of the event (above). While many rumors have been floating around that Apple is preparing to launch the new Apple TV, speculatively referred to as iTV, looks like its more possible the announcement will be for the long anticipated iTunes in the cloud. 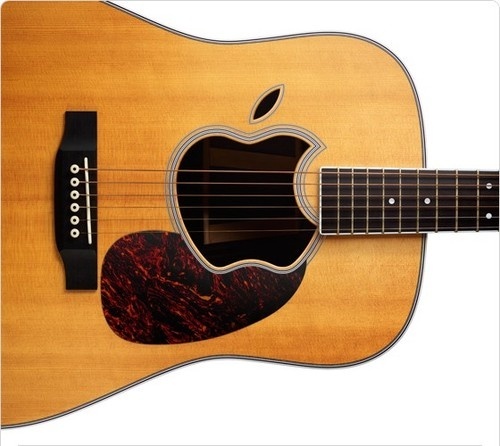 But with the Apple guitar image above, we wouldn’t be too surprised to see major updates to Apple’s music production suites, Garage Band and Logic. For now, your guess is as good as ours. Like always, we will be covering the event and bringing you updates as they happen here at BlogsDNA.com. Pingback: Screen Protectors Confirm Apple’s New iPod touch/Nano?